So you’ve got a tool bag you bring with you for roadside repair, but what about when you’re home on a rainy day and itching to replace your badly worn tires, or fix that sticky headset? Here are a few tools that are sure to make working on your bike easier and more efficient. How much money you might spend (listed next to each item) is based on “entry level” tools – “professional” or higher quality tools cost much more. Unless you’re running a full-service repair shop out of your garage, professional level tools shouldn’t be necessary. And if you’re on a tight budget, ingenuity and a little bit of research should turn up results for how to make some of these tools yourself. 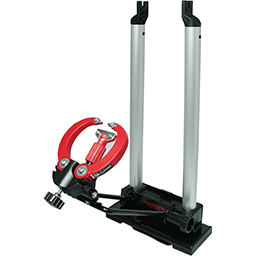 When it comes to bike repair, maintenance, or even just cleaning, a stand is indispensable. Sure, you could flip your bike upside down and crouch or sit next to it as you work, but that’s just no fun. 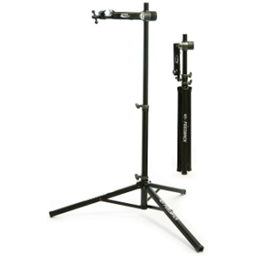 Using a repair stand allows you to have a comfortable and ergonomic work space. With access to every system and control of the bicycle, you can focus on dialing in that derailleur adjustment, rather than worrying about the aches and pain that you may feel while having to work in a uncomfortable position. Wheels are seemingly simple – a rim laced to a hub with spokes plus a tube and tire – right? But wheels go out of true over time. Sometimes spokes will break, and should be regularly inspected for proper performance anyway. Similar to the repair stand, a truing stand will make all the work you do much easier, and give a more accurate reading of how out-of-true your wheel really is. With a truing stand, you can make sure your wheels are 1) laterally true 2) radially true and 3) properly dished. It’s also easier to inspect the rim for wear, and spot things like blips, dents, and other signs of wear that should be noted and addressed. Adding a truing stand to your collection of bike repair tools is truly a worthwhile investment. 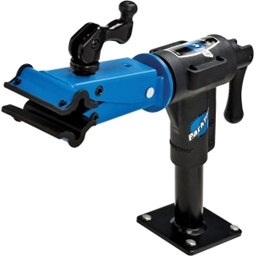 A bench vise can be super handy whenever you need to clamp something firmly in place. 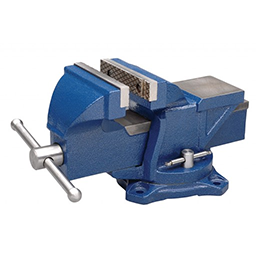 Whether you’re going to cut a kickstand to length, or use an axle vise to secure your wheel in the vise as you adjust your hubs, or break loose a stuck freewheel, the bench vise can act like an extra set of super strong hands to help you get the job done. While there are many instances in which a bench vise comes in handy while working on your bike, it’s a fairly universal tool that can be used for many different home and craft projects as well. Crank Remover (Pedro’s Universal Crank Remover – $25) Works with square taper, International Splined Interface Standard (ISIS), and Octalink. 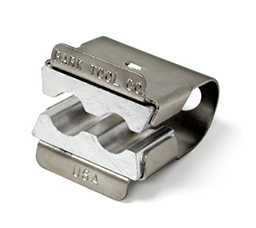 Cartridge Bottom Bracket Tool (Park BBT-22 – $20) Along with a big (12”+) adjustable wrench, you can remove or install your cartridge bottom bracket. 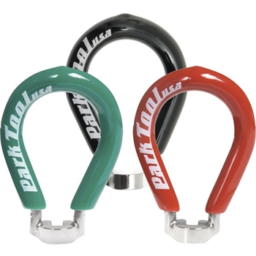 Pedal Wrench (Park PW-5 – $13) Quickly remove your pedals without trying to jam a 15mm combination wrench where it won’t fit. The long handle gives extra leverage for loosening well tightened pedals. Cone Wrenches: 13/14mm, 15/16mm, 17/18mm (Park – $6 ea) Service all your cup/cone bearing assemblies with these double ended cone wrenches. Cable Cutters (Pedro’s – $36) Tired of frayed ends when trying to cut a cable with the wrong kind of cutter? Use a fresh cable cutter and get a clean cut the first snip. Tri Flow (2oz – $5, 6oz – $10) Multi-use light viscosity lubricant. Phil Waterproof Grease (3oz apx. $10) Good for bearings, threads, seatposts, quill stems, etc. Simple Green (24oz – $8) All purpose* cleaner and degreaser (*not good for use on carbon fibre). Finish Line Bike Wash (1litre – $14) Gentle detergent made for cleaning bike frames. Old Toothbrush (free!) Great for cleaning chains, cassettes/freewheels, derailleurs, and intricate or difficult to reach components. And one less wasted piece of plastic in our landfills!